Tidal Bay captures the essence of grape growing in a maritime climate. When you smell and taste Tidal Bay, there is a freshness and crispness that you associate with the windswept coastlines of Nova Scotia. The Winery Association of Nova Scotia’s website boasts that Nova Scotia has a rich tradition in grape growing, dating back to the 1600’s. 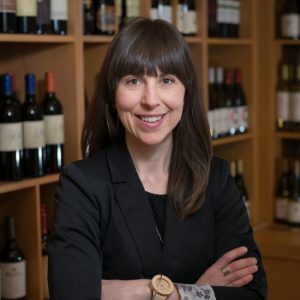 This is indeed something to be proud of, but I am sure that most Nova Scotians agree that the true birth of quality wine is a fairly new phenomenon here on our shores. The inception of our first appellation style wine, called Tidal Bay, in 2012 solidified the fact that Nova Scotia wines are serious wines and that our region is finally becoming known for a particular style of wine. So, what exactly is Tidal Bay anyway? Unlike most other wine regions, where the “appellation” is defined by a geographic region, the Tidal Bay appellation, applies to Nova Scotia as a whole and really defines a wine style. In other wine making regions, especially in Europe, the term appellation is most associated with production area, soil, aspect, climate, weather; what we have come to know as terroir. The appellation laws in Europe govern everything from vine varieties, ripeness levels, yields, vine density, pruning to sweetness, minimum alcohol and ageing. Wines that are awarded an appellation designation such as Chablis Premiere Cru Fourchaume, for example, all must meet very strict criteria and also undergo an organoleptic evaluation (aka tasting evaluation). The Winery Association of Nova Scotia has put in place a set of standards that wines in the running for the Tidal Bay Status must adhere to. For the past few years, I have had the opportunity to sit behind the scenes as part of the blind tasting panel of wine proffesionals assessing the potential Tidal Bay wines. It’s always an exciting process and interesting to see the nuances amongst the wineries, the different choice of grapes varietals and the uniqueness of each vintage. There are two categories of permitted grapes; “neutral”, less aromatic grapes that serve to highlight the terroir; these are L’Acadie Blanc, Vidal, Seyval and Geisenheim 318. Tidal Bay does not have to be a blend of different grapes; it could be a single varietal, but if it is, that grape must come from this first category. If it is a blended wine, the majority of the blend must come from this first category. The second category of permissible grapes comprises the “aromatic” grapes; these cannot make up more than 49% of the wine and are Riesling, Chardonnay, Pinot Blanc, Pinot Gris, Chasselas, Auxerrois, Ortega, Siegerebbe, Geisenheim 319, 322, 6495-3, Minnesota Muscat, Frontenac Gris, Frontenac Blanc, Cayuga, Petit Milo, Siegfried, Kentville White varietals (don’t worry if you didn’t recognize half of those names…. unless you are a local wine geek or grape grower you really aren’t expected to!) Finally, the third and truly optional category are very aromatic and cannot make up more than 15% of the blend; they are Gewurztraminer, Perle of Csaba, Traminette, Valvin, New York Muscat and vinifera Muscat varieties. Grape growing (permitted yields) and winemaking (types of press used) are regulated. Chaptilization is permitted to a maximum of a 2% increase in potential alcohol. The wine is typically vinified in inert containers (stainless steel). If oak is used, no more than 20% new oak barriques can be used for fermentation or storage. An obvious oak component could overshadow the terroir and natural aromatics of the grapes. If the wine has undergone malolactic fermentation, the effects of MLF should not overshadow terroir and grape aromas. Maximum alcohol content is 11% and minimum is 9%. The wine’s total acidity at bottling must be 7.5 g/l or greater. The wine cannot be acidified. The maximum residual sugar level is 20 grams/litre, but wines with higher acidity levels are allowed to exceed this as long as the residual sugar levels for not double the wine’s tartaric acid. Practically speaking, the wine can neither taste too sweet or too dry; the goal is to find that balance between lively acidity and sweetness. At the beginning of each year, the wines of the current vintage are evaluated by a blind tasting panel to assure that the wine fits into the “Tidal Bay” style; one that is fresh, crisp, lively, with green fruit and distinct minerality. Each winery has its own take on Tidal Bay all while maintaining a style that is light, “dryish” and lightly aromatic. I look forward every spring and summer season to taste and compare each winery’s Tidal Bay; noting the similarities while enjoying each wine’s uniqueness. The wonderful thing about living in a wine region that is small and still emerging means that there is ample opportunity to taste these wines with the grape grower or winemaker at the winery or in our shop. These hard working vingnerons and winemakers are able to explain the subtleties of the terroir and the role each variety plays in the blend in a way that really elevates the wine tasting experience. If you haven’t explored our local wineries yet, I suggest that you do so this summer!